Agent-based models are artificial societies of software that people use to simulate health behaviors and the transmission of disease, at scales ranging from the local to the global, and across threats from opioid addiction to pandemic flu. 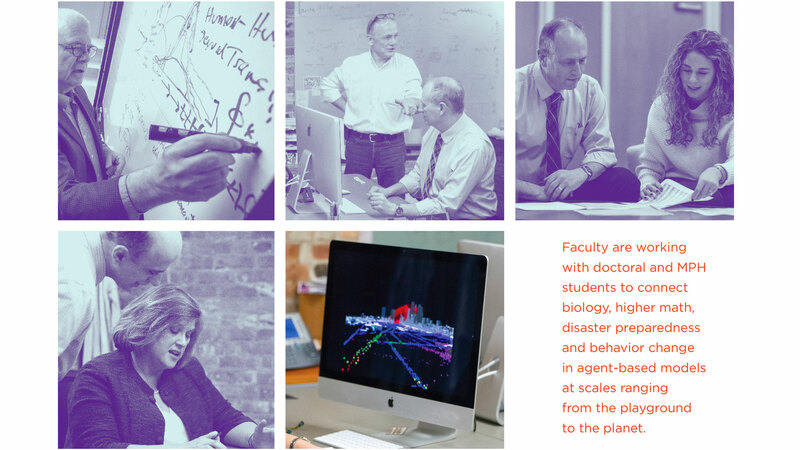 The interdisciplinary climate at GPH allows for distinctive innovation, where Drs. 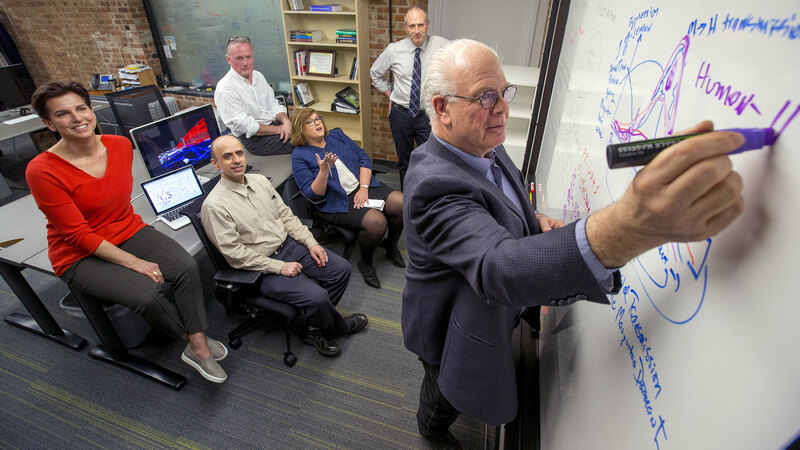 David Abramson, Bernadette Boden-Albala, Elodie Ghedin, Josh Epstein, Erez Hatna and Rudolf Knippenberg (pictured left) join with government agencies to tackle complex challenges. Having collaborated on Ebola, the GPH team responded to the threat of Zika by building an entire artificial New York City, including 7.5 million software New Yorkers and several million virtual seasonal mosquitoes. This helped the New York City Department of Health and Mental Hygiene assess the potential spread of Zika virus, and will inform a wide range of health threats to NYC and other large urban populations. The simulation model included mosquito vector data probabilities; sexual network estimates; socio-demographic data; and population behavior estimates. The resulting platform is a prototype for flexible, urban health simulators that can be applied to health threats in metropolitan areas worldwide. The Lab also empowers participation by students on models at all scales, from small idealizations (“toy” models) to the full-scale, planetary pandemic flu models featured in Nature and other leading journals. One day, research such as this will yield a mature urban health dynamics simulator that accounts for urbanization, massive increases in population density, and the effects of climate change. It will help scholars, practitioners, and governments understand population behavior so they can design policies and messaging to encourage resilience in the face of immediate and long-term health threats. Few colleges have the ingenuity, bold vision and faculty in place to start and refine such prototypes, but we are doing just that at NYU GPH.